AT STEADFAST SUPPLY, WE SEEK TO PLAY AN ACTIVE ROLE IN CONNECTING YOU WITH THE CREATIVE MINDS BEHIND OUR BRANDS IN AN EFFORT TO SHARE THEIR INSPIRING STORIES AND TO HELP BUILD COMMUNITY AND FOSTER MEANINGFUL RELATIONSHIPS. CONTINUE READING AS WE HIGHLIGHT ONE OF THE MANY AMAZING BRANDS THAT WE HOST WORSKHOPS WITH AT THE SHOP - GET INSPIRED BY THEIR STORIES! Samantha Testa is the owner of DC based watercolor and calligraphy business, Painted Palettes. Samantha spends her time teaching hand lettering workshops, providing gorgeous lettering for her clients' events, and painting commissioned watercolor illustrations. 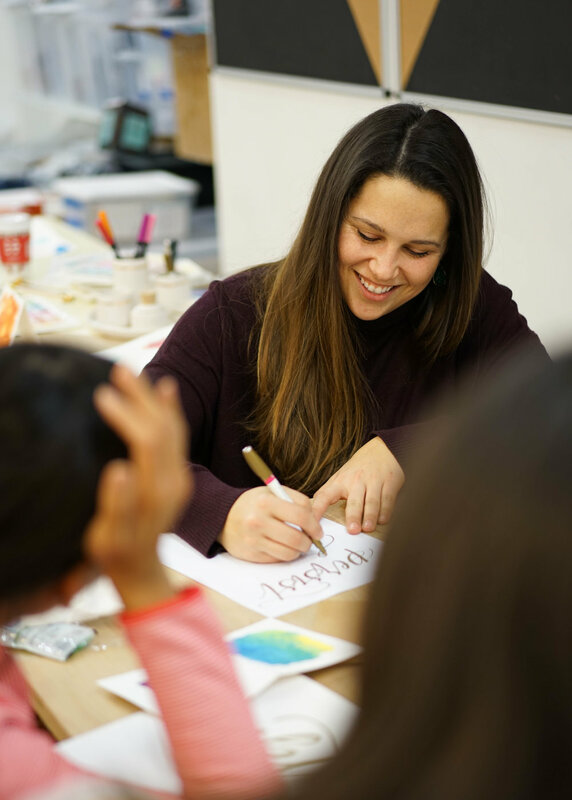 Formerly a first grade teacher, Samantha naturally gravitates towards making meaningful connections with her clients through her workshops and artwork. She enjoys making art accessible and helping people realize their own creativity! A passion for making beautiful things was ignited early on in her hometown of Youngstown, Ohio. Her grandfather was a phenomenal artist and he would paint with her when she was a child. She still has a set of his brushes that she uses from time to time. Samantha regularly hosts hand lettering and watercoloring workshops at our shop. Sign up for one of her upcoming events here!